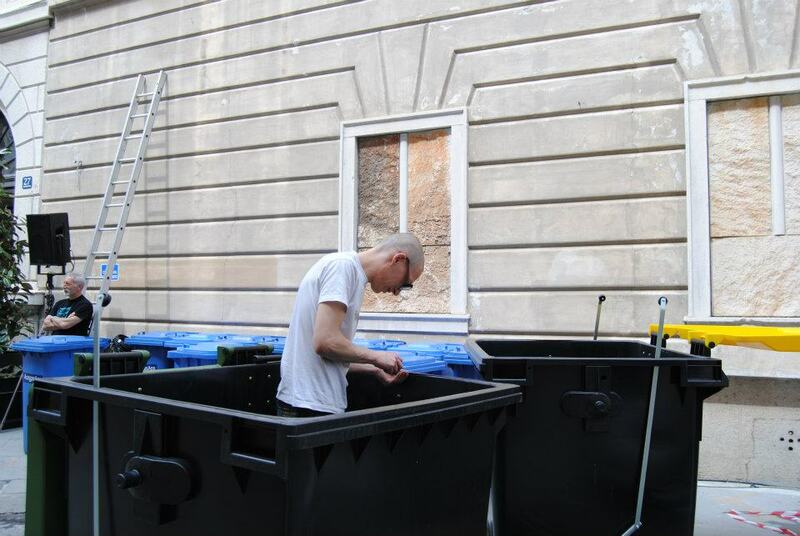 TRASHING SOUNDS is an interactive sound installation setted up in public spaces using “prepared” garbage bins. By means of on/of mechanical switches, speakers, an Arduino breadbord, a multichannel audio inteface, a computer, and a lot of cables, common garbage bins placed in public spaces will be open their acoustic memory, allowing the visitors to explore the sonic trace of their collective habits (a sort of acousmatic “trashing” – or dumpster diving – of ourselves). More technically described, the TRASHING SOUNDS motor is a generative software implemented in Pure Data: starting from three different libraries containig sounds of recycling, organic and sound waste (glitches, computer errors, etc. ), the generative software links together the libraries files by means of three random algorithms, spawning three different and constantly changing sound flows. 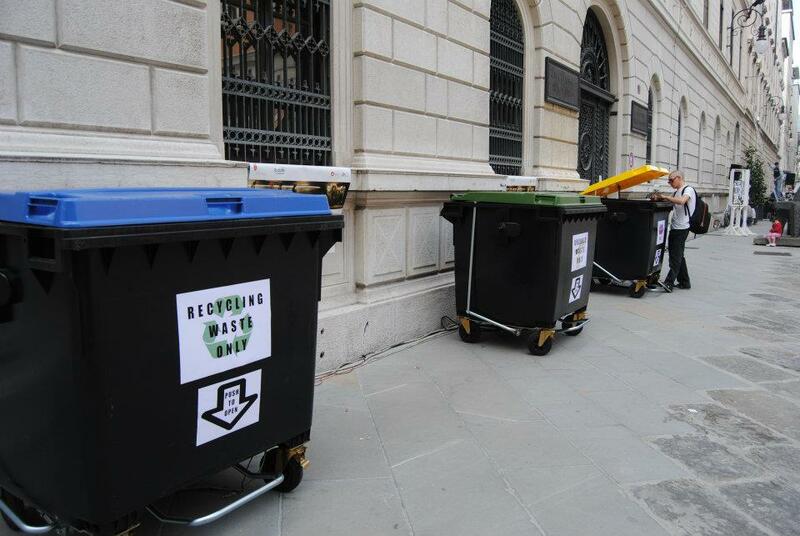 The passers-by can trigger each sound flow opening (consequentially or simultaniously) the respective garbage bin. 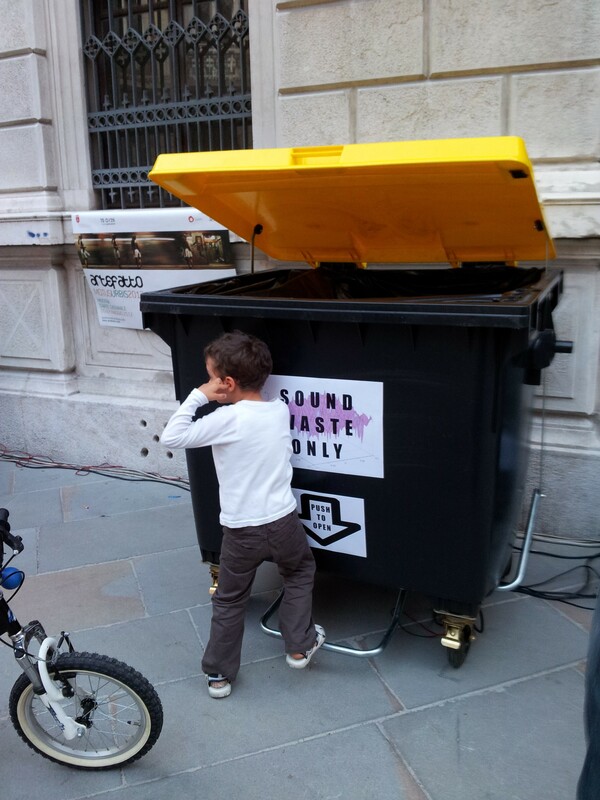 I have setted up TRASHING SOUNDS for the first time on the occasion of on the occasion of the Artefatto_2012: Motus Urbis opening. I have also realized a demo-track using the generative software implemented for the installation: in this track the three spawned sound flows are consequentials (recycling waste, organic waste and sound waste); there is also a binaural spatialization, live performed (hence, HEADPHONES ARE REQUIRED).